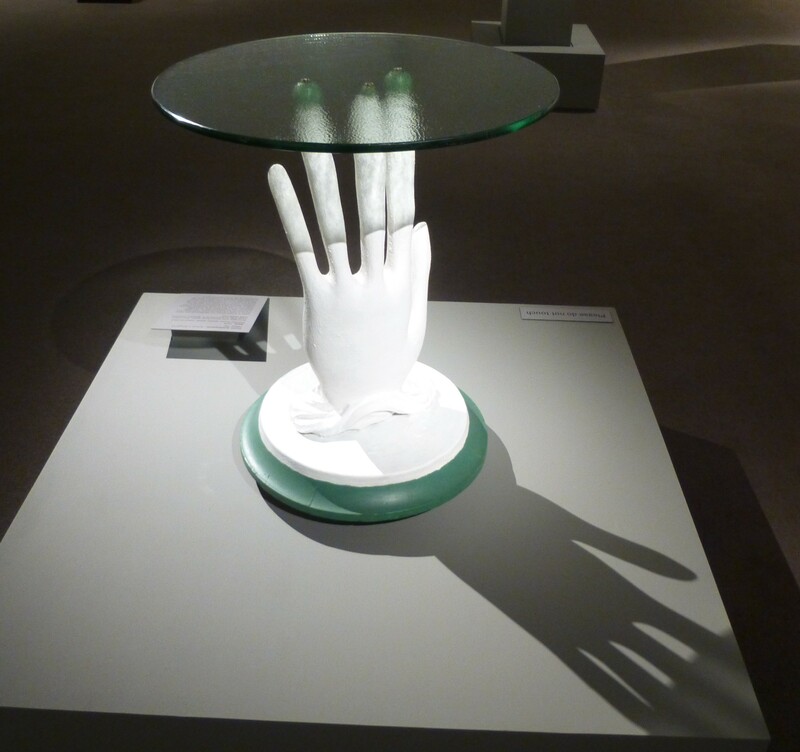 Little is known about Costo Archillopoulo, the designer of this table (circa 1934), which is both a functional piece of furniture and a fantastical Surrealist sculpture. 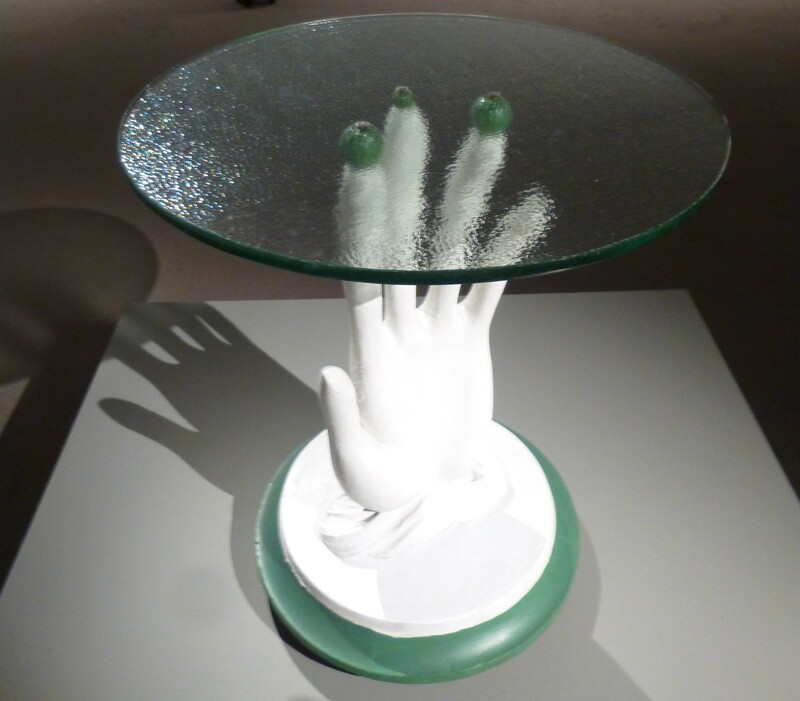 The glass tabletop rests improbably atop small balls balanced on the tips of three delicately tapering fingers, generating a sensation of tension and unease. 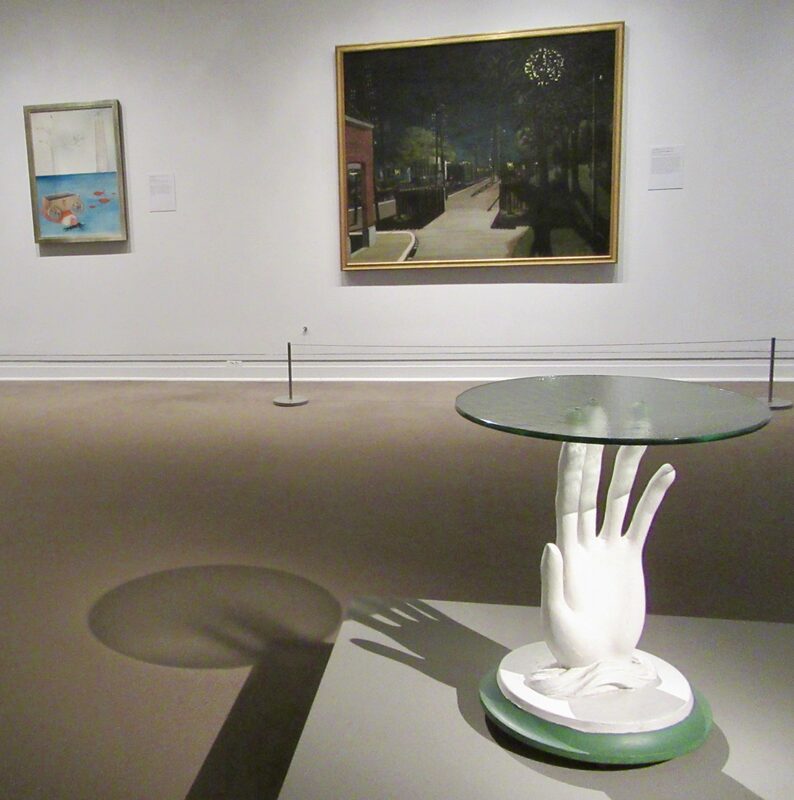 Disembodied hands and gloves are recurrent motifs in Surrealist art, with the left hand, in particular, symbolizing the irrational. 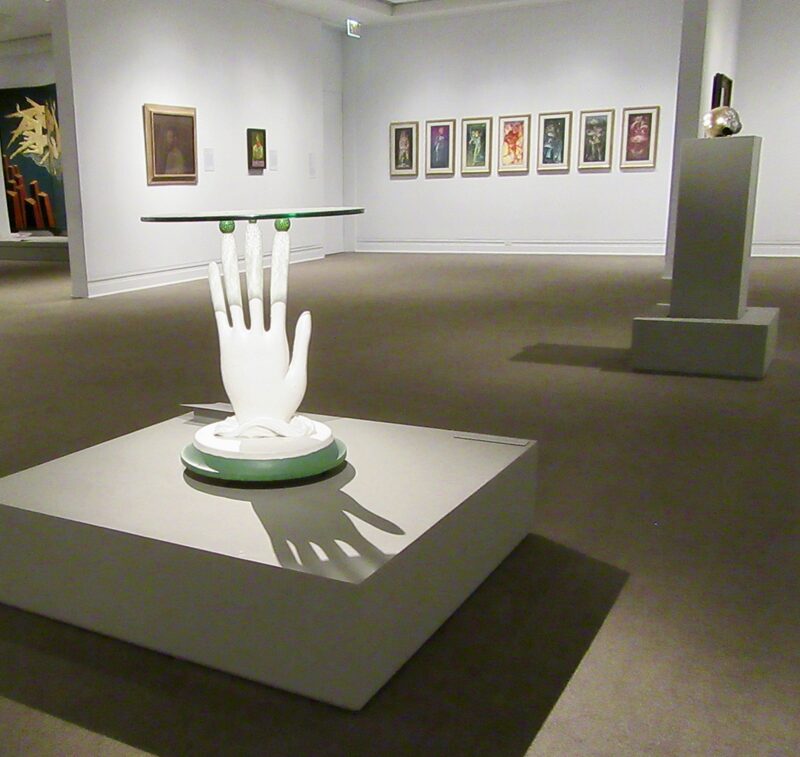 The cloudlike element from which the hand emerges also suggests a transition from the conscious to the subconscious world. Photographed in the Metropolitan Museum of Art, NYC.